We are happy to announce that the core Revive Adserver team has transferred the intellectual property rights of the Revive Adserver product to a new company, Revive Software and Services. 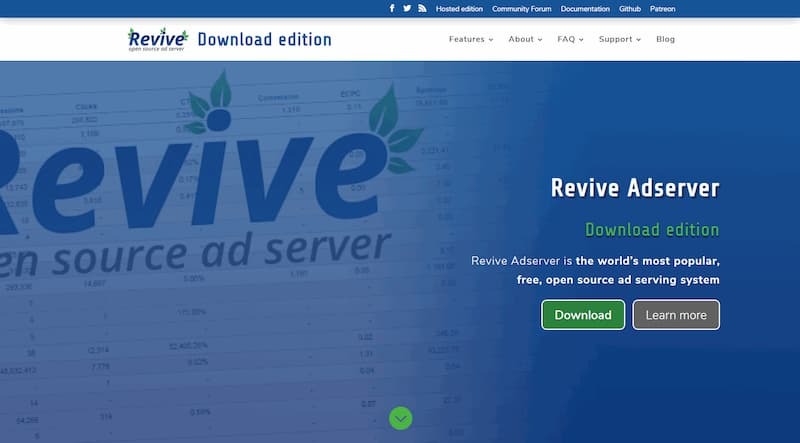 This doesn’t really have any practical effect as far as the community and project are concerned – although we will update the copyright notice in Revive Adserver in a future release, the product remains open source (it’s free to use, and free to modify) and we have absolutely no plans to change that. Firstly, there is now no single person who “owns” Revive Adserver. The “ownership” of the Intellectual Property (IP) is shared by the core team, so, should any member of the core team be suddenly unable to continue with the project for any reason, the other members of the core team can continue to work on the project with the knowledge that there’s no chance of another core member coming along and effectively forcing a project fork by claiming their IP. Secondly, and much more importantly, we want Revive Adserver to continue to grow. Amazingly, the first release of Revive Adserver now happened more than two years ago, and the growth that we’ve seen has been incredible. There are now more than 7,400 active installed instances of Revive Adserver, and we’re constantly thinking about how we can make things better. Right now, a key part of that thinking is looking at how we can spend more time working on and improving the project. Hopefully, it won’t come as any surprise to the more active members of the community to realise that while we’ve had an amazing journey these last two years, if we want things to grow even more (new features, better support on the forums, more documentation), then the only way for that to happen is for the core team to have more time to spend on the project. To do that, we’re going to need to look at how we fund the core team’s time. To be clear, we are not changing Revive Adserver from being open source. The core team is fundamentally committed to Revive Adserver being free to use, and free to modify. But we would like to explore options for raising funding that will let the core team spend more time on the project. Creating the Revive Software and Services BV company is an important first step in that process – and next, we’ll be working through some ideas we have for funding, which we would like to explore with you all in the near future. We want your help in deciding the best way forward for the project, because we know that we’re going to need your support. For now, we hope that you’ll be patient with us, as we work through our ideas – and we’re looking forward to what we can achieve together in the future!